Today we announced that our Resident Director, Kip Williams has been appointed as Sydney Theatre Company’s Interim Artistic Director. We’re delighted he’ll be stepping into the role until a new Artistic Director is appointed. Kip has been an STC Resident Director since January 2013. He has an intimate knowledge of the Company and our work, excellent relationships with theatre-makers and a great track-record as an artist. While at STC he has directed All My Sons, The Golden Age, Love and Information, the Helpmann award winning Suddenly Last Summer, Children of the Sun, Macbeth, Romeo and Juliet, Under Milk Wood and is directing A Midsummer Night’s Dream in September. 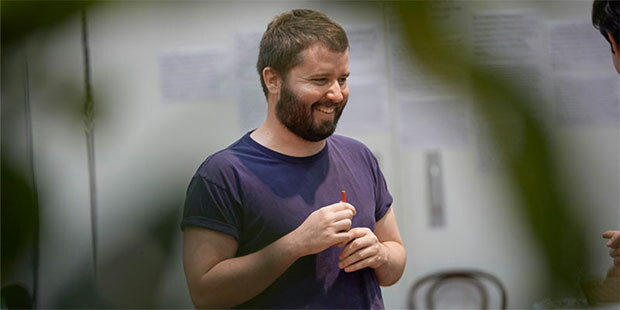 Kip has been Associate Director on Cyrano de Bergerac with Andrew Upton, and been the Assistant Director on several recent productions: The Secret River with Neil Armfield, Gross und Klein (Big and Small) with Benedict Andrews, Loot with Richard Cottrell and The White Guard with Andrew Upton. Kip has directed work for Sydney Chamber Opera, Malthouse, Melbourne Theatre Company, NIDA, Tamarama Rock Surfers, Sydney Writers' Festival, 18th Biennale of Sydney, Princeton Theatre, New Jersey and National Theatre, Melbourne. He has also been Assistant Director on operas for Opera Australia and Victorian Opera and has directed short films and music videos. We have commenced recruitment for our new Artistic Director and will be back in touch when we have more news on that front. Many of you will have met Kip over recent years at our Insight Events or in our foyers. The Pre-season Briefing for Kip’s production of A Midsummer Night’s Dream is coming up, and you’re welcome to attend (see below for more info), or you can look forward to more information from Kip about our exciting 2017 Season when we launch on 8 September. I hope you’re enjoying the year so far at STC. See you at the theatre.